Arlington, VA, 24 DECEMBER 2014: Each year, the National Genealogical Society recognizes excellence in genealogical scholarship through its various competitions and awards. The deadline for six of the competition entries and award nominations—December 31—is quickly approaching. NGS encourages its members, member societies, and other organizations to review the requirements and make entries and submissions. 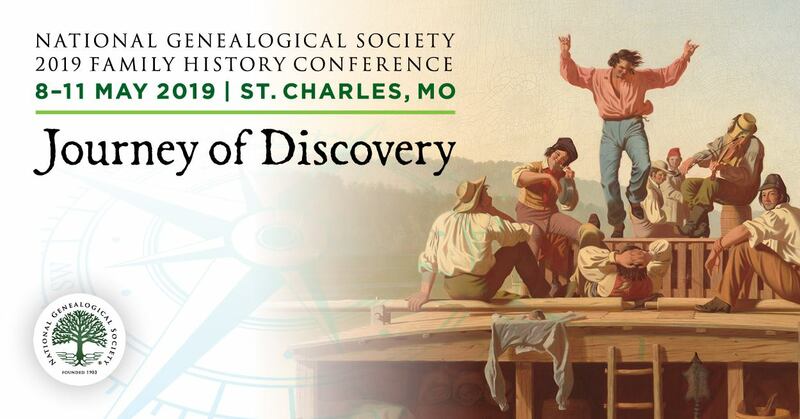 Winners will be recognized at the NGS Family History Conference, to be held May 13-16, 2015 in St. Charles, Missouri. · Family History Writing Contest: NGS recognizes the best genealogy covering 3 to 4 generations. · Award for Excellence—Genealogy and Family History: NGS presents this award to an individual or nonprofit organization for an outstanding genealogy or family history book published during the past three years. · Award for Excellence—Genealogical Methods and Sources: NGS presents this award to an individual or nonprofit organization for a book, article, or series of articles published during the past three years on genealogical methods and sources. · Newsletter Competition: NGS recognizes the best genealogical society, historical society, and/or family association newsletters. The competition has two categories: one for major societies (with distribution of 500 or more copies of each issue) and one for local societies (with distribution of less than 500 copies of each issue). · John T. Humphrey Scholarship: John T. Humphrey served NGS in a number of positions over the years, including education manager. The Society has renamed the Home Study Course Scholarship in his honor. The award is given annually to an individual who has demonstrated a serious interest in genealogy, and covers the entire cost of the NGS Home Study Course. · Rubincam Youth Award: NGS encourages young genealogists to explore their family histories with the Rubincam Youth Award. The senior category is open to students in grades 10 to 12 or between the ages of 16 and 18, and the junior category is open to students in grades 7 to 9 or between the ages of 13 and 15. More specific details about each competition can be found at www.ngsgenealogy.org/cs/competitions. Individuals and societies making nominations will receive an acknowledgement that their entry has been received. An additional seven competitions and award entries have a deadline of 31 January 2015. See the submissions calendar at www.ngsgenealogy.org/cs/awards_competitions_calendar for more details. Questions about all awards and competitions may be directed to [email protected]. Founded in 1903, the National Genealogical Society is dedicated to genealogy education, high research standards, and the preservation of genealogical records. The Arlington, Virginia-based nonprofit is the premier national society for everyone, from the beginner to the most advanced family historian seeking excellence in publications, educational offerings, research guidance, and opportunities to interact with other genealogists. NGS at home study courses get 5 out of 5 stars! WDYTYA Returns! Are you set to watch or record?